These days—online content is king. But that doesn’t make it any easier to craft an engaging, readable blog. 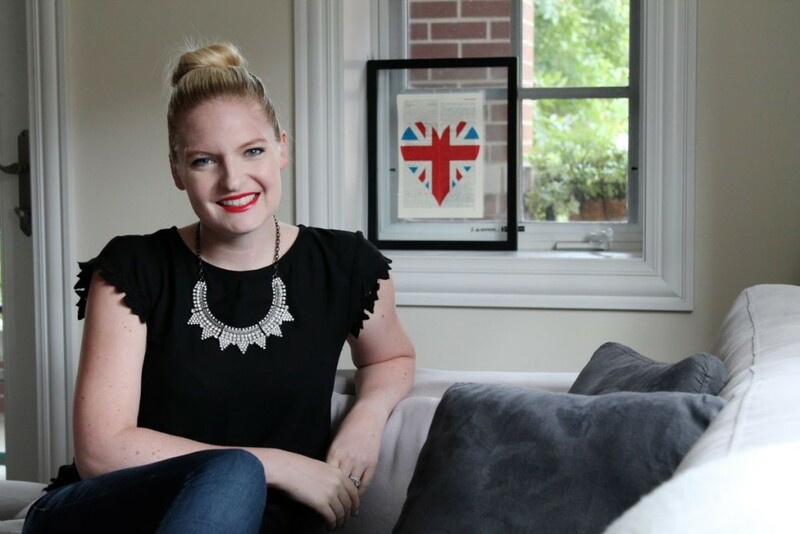 When IVY member Kit Graham started The Kittchen, her food and travel blog, almost four and a half years ago, it wasn’t actually her idea. “My friends wanted my recipes,” she said, “So they set up the site for me.” Now, it’s a full-time job for her. 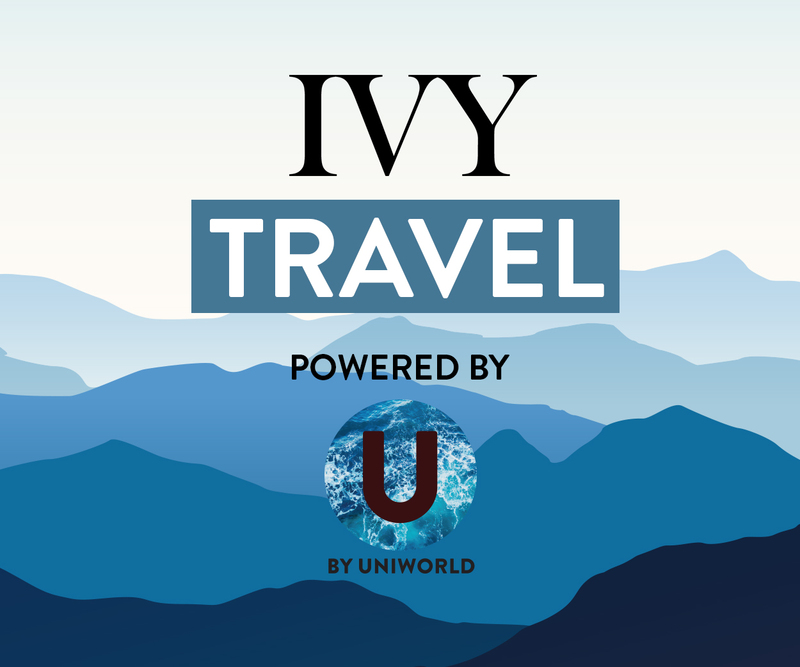 She regularly shares exciting recipes she’s crafted, reviews of restaurants, and other fun travel experiences. Kit is an IVY Member (CHI). Connect and collaborate with her here. I read an op-ed in the New York Times about a year ago, which talked about food as a new kind of luxury good. (It’s often finely prepared and presented; there are reviews and articles and essays discussing it; we even save up significant money for a night out at a special restaurant.) How would you respond to the idea that food these days has become something of a luxury good? I completely agree. Dining can certainly be a luxury experience, but I am the type of girl who loves a perfect cheeseburger just as much as a fine dining experience. I think that people these days are looking for exclusive experiences: they want to go to the impossible to get into restaurants and score tickets to Hamilton, things like that. At the same time, not everyone will appreciate a $500 dinner. I think people need to consider if they really love the adventurous eating that tends to go along with a $500 dinner before they make a reservation or buy tickets. What’s your process for curation on your blog? The Kittchen wasn’t actually my idea. My friends wanted my recipes, so they set up the site for me four and half years ago. At first, I was just sharing recipes, but over time I started to write about restaurants and travel. Now, I try to create a mix of food-related content. 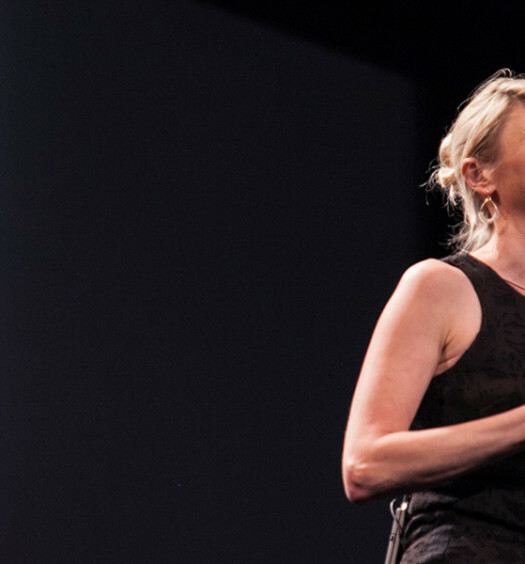 It’s all about my love of food, and it represents the things I eat—it’s very real. I am not really curating content, since I create it all myself. I have a content calendar, and I plan my content a month in advance, paying attention to upcoming events and holidays, and what I have going on in my life. Some things like Thanksgiving posts are very intentional and planned far in advance, while other posts are very organic and represent meals I happened to cook at home just because I wanted to. What advice do you have for bloggers to keep their content always fresh and fun to read? Use an editorial calendar to plan out your content in advance. This way you will make sure your content is timely and references upcoming holidays and events. People want Thanksgiving recipes a month in advance; you need to do some planning for that. I also try to mix things up. I won’t post 3 breakfast recipes in a week. I try to share a variety of recipes each week to keep things new and fresh. What’s your opinion on the Chicago food scene? I think Chicago has an incredible dining scene and I love the camaraderie between chefs here. However, I am ready for the small plate thing to be over. It is easier for restaurants because they don’t have to time courses, but I think it can result in an awkward dining experience. Chicago also has the most amazing schedule of food festivals: Windy City Smokeout, Oysterfest, Chicago Gourmet, and Taste Talks are wonderful. And Lollapalooza has an incredible food scene. It’s the best city for foodies! If I’m looking for some of the best brunch spots in Chicago, what are your top suggestions? Right now I think that Bar Siena has one of the best brunches in Chicago, the menu is very man-friendly too—my husband loves it. Other favorites are Summer House Santa Monica and Southport Grocery. Anything at Sweet Mandy B’s! I love cake, and their almond cake with chocolate frosting is a favorite. And the Chocolate Pie at Bavette’s is outstanding. You’ve also written a cookbook on gourmet grilled cheeses. What inspired you to write the cookbook? Can you share one of your favorite recipes? I am downright obsessed with grilled cheese. This means that my husband has tried many grilled cheeses, but when he tried this one he declared it to be one of the best. It’s also a bit different from other sandwiches I have made in the past because I spread cream cheese on the outside of the bread, and then topped that with shredded cheddar prior to grilling. The result: a crispy cheesy crust. It takes the sandwich to the next level. 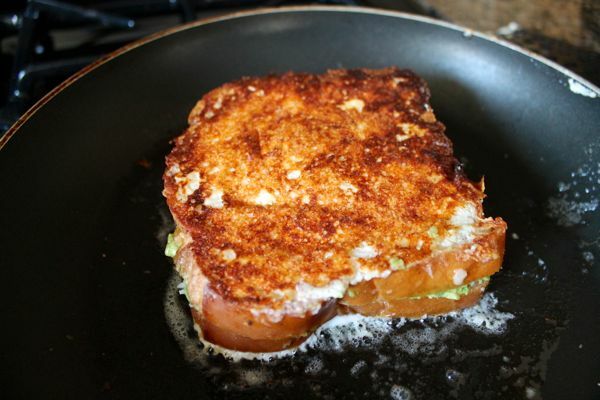 This grilled cheese is filled with a generous amount of sharp cheddar, crumbled bacon, and mashed avocado. It is an easy upgrade to classic grilled cheese. If you want to mix things up a little, you can use guacamole instead of plain avocado. Or, serve the sandwich with a runny egg on top and eat it with a fork and knife. (Sorry, I am still obsessed with eggs over here). Since grilled cheeses are made with few ingredients, you need to use the best of the best. I bought a fresh loaf of butter crust bread – a lightly textured, almost fluffy bread similar to a brioche. I also used Cabot Extra Sharp Cheddar, one of my favorite cheddars. While the bacon cooks, grate the cheese, and mash the avocado. 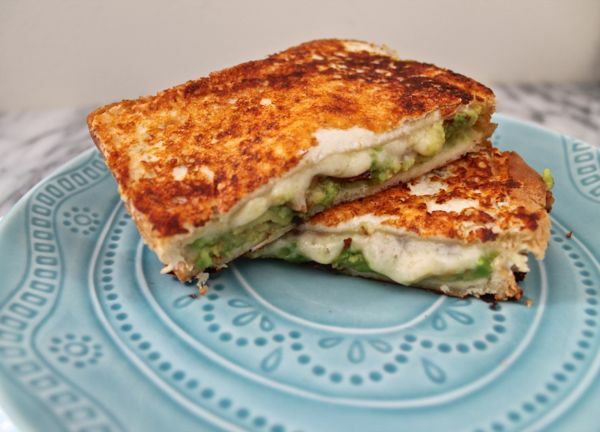 Set two tablespoons of cheddar aside, then pile the remaining cheese on one piece of bread, and spread the mashed avocado on the other. Crumble the bacon and sprinkle it over the avocado. 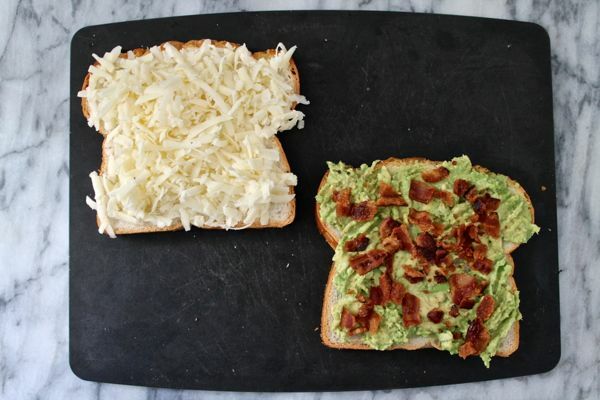 Flip the avocado/bacon slice of bread on top of the cheese. Spread half of the cream cheese over the top of the sandwich. Sprinkle half of the remaining cheddar over, pressing it gently into the bread. Melt half of the butter in a skillet over medium heat. 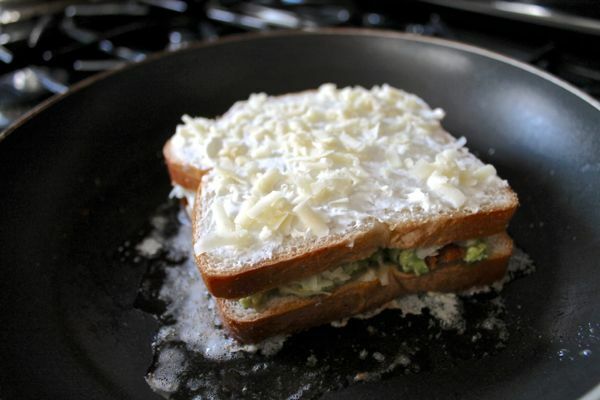 Place the sandwich in the skillet, cream cheese side facing down. (Do not move it until the cheese has crisped up.) Then spread the top of the sandwich with the remaining cream cheese and cheddar. Cover the skillet. After about three minutes, the first side of the sandwich should be golden brown. You can tell it is ready because your kitchen will smell like crispy cheese, and it is wonderful. Then remove the sandwich from the skillet, melt the remaining butter, and flip the sandwich into the skillet to toast the second side. Again, do not move the sandwich. Cover and let toast for 2-3 minutes, until golden brown. Cut in half and devour immediately. Find other fantastic recipes and lots more on Kit’s blog, The Kittchen!